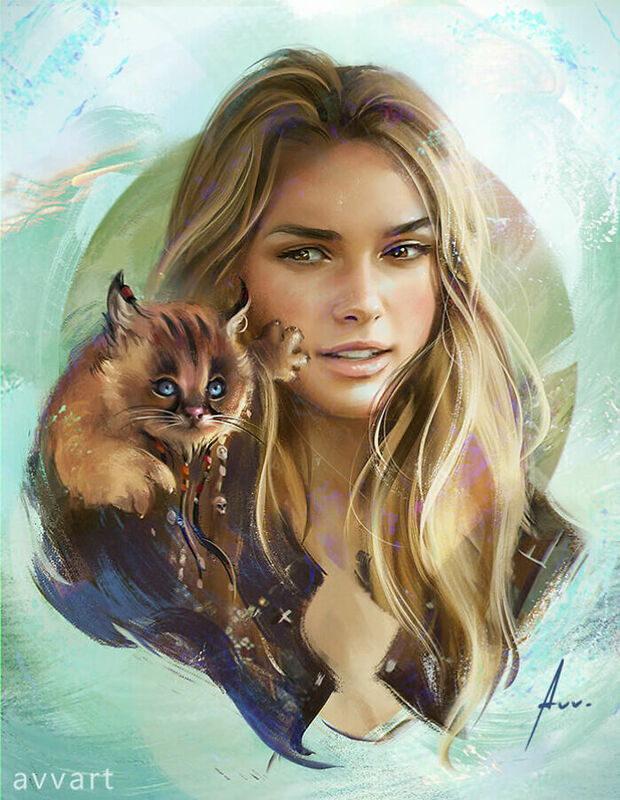 Aleksei Vinogradov is a Russian freelance digital artist who shares his skills and talent with 120k followers on Instagram. His charming artistic touch, masterful use of pastels and subtle brush strokes create lively portraits full of character and attract the attention of art lovers from around the world. His beautiful works are achieved mainly with the help of Procreate app and a tablet. He studied Costume Design at Saint Petersburg Art and Industry Academy and now, his work is so inspiring and appreciated that he has created his own unique brushes for digital painting. Aleksei finds his inspiration in music, emotion, and gorgeous female faces. In fact, if you carefully scroll through his feed, you’ll notice his ability to portray women with power, attitude, and energy and evoke emotions as if they were looking at you directly from the screen. 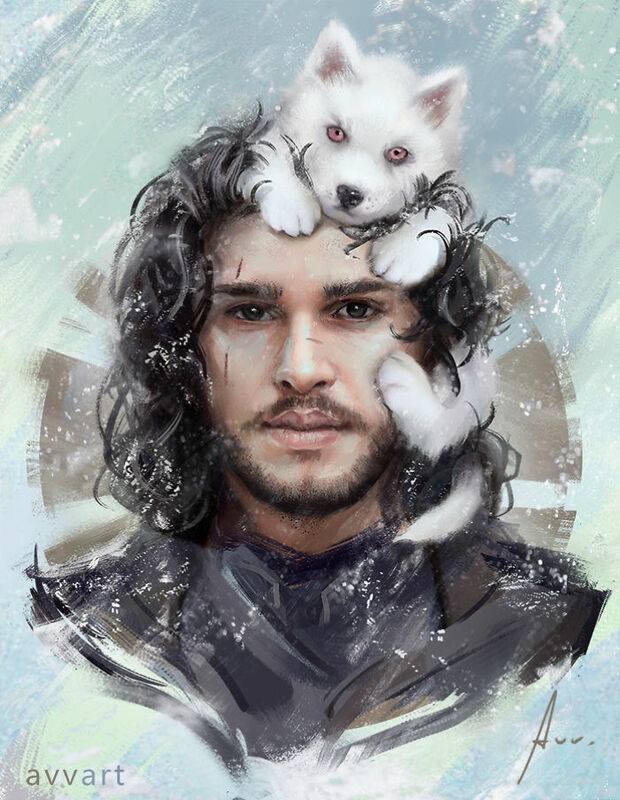 In his series “Famous characters and their pets”, Aleksei draws beautiful portraits of loved pop-culture characters with their ‘spirit’ pets: from Jon Snow with a white direwolf cub to Batman with a little bat or Mistique with a fantasy mini version of herself. Apart from taking these artworks to another level of cuteness, these tiny animals have a symbolic meaning and perfectly represent their owners. Like owner, like pet, right? The eighth and final season of “Game of Thrones” finally kicks off on April 14th, so Aleksei Vinogradov has treated us with a tribute to one of the most iconic characters of the series, Jon Snow. Jon (played by Kit Harrington) is realistically portrayed with his loyal albino direwolf pup Ghost, whom he rescues early in the series. Ghost was the only white direwolf and the smallest one of the pack that children of Winterfell have adopted but grew up to be larger than his siblings. His uniqueness resembles Jon’s character and makes for the perfect pet. And while we’ve recently seen Jon (spoiler alert!) embracing his Targaryen heritage and hanging out with dragons, Ghost is said to make his glorious return with a fair share of screen time in the last season, so we will have the chance to explore their special bond. Born as Raven Darkhome, Mystique is a mutant from the superhero film series X-Men which has the ability to shapeshift into anyone. Portrayed by the talented and gorgeous Jennifer Lawrence since 2011’s X-Men: First Class, Mystique can mimic exact appearances, voices and even clothing which gives her the power to go unnoticed and manipulate people. The power of youth and regenerative healing along with amazing combat skills make her a valuable X-Men member, even though she hasn’t always been a hero. Her cute pet is a little duplicate of her natural blue-skinned and red-haired form, which Mystique eventually learned to accept. 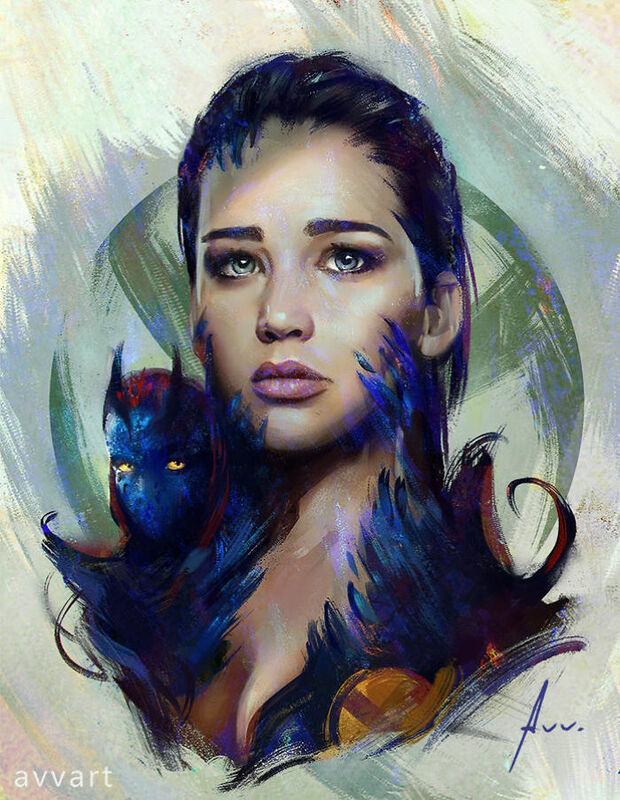 Does a mini Mystique have the superpower to transform into anyone she desires and is it even this pet’s final form? We wish we could get the answers to these questions in the next X-Men movie. Not all heroes wear capes, but Batman is definitely one of them. This superhero is a perfect example that you don’t have to be born with unearthly powers to fight for justice. Bruce engaged his physical and intellectual training to create a character that can operate first-class equipment in order to fight crime in Gotham City. 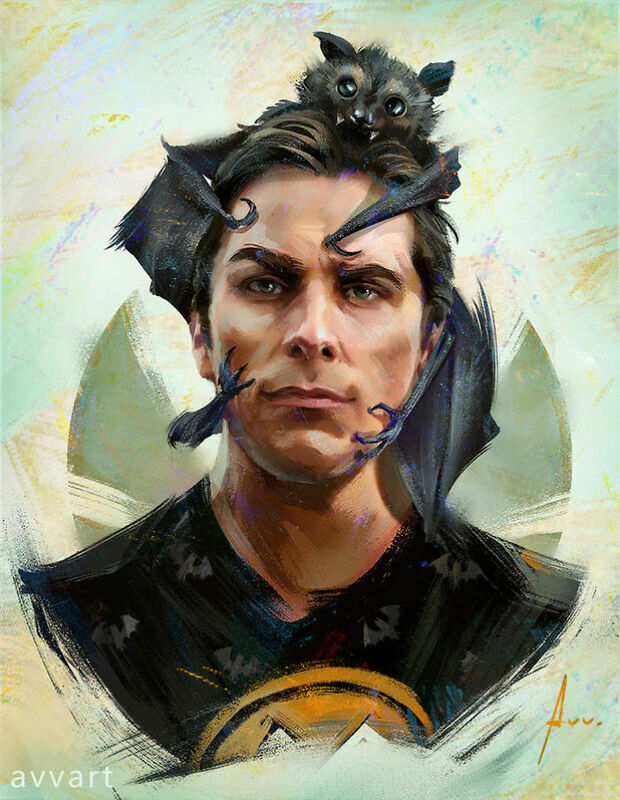 The fandom continues an ongoing discussion on who is the best Batman, but Christian Bale definitely is at the top of our, and probably Aleksei’s, list. There isn’t a better pet option for Bruce Wayne than the black creature of the night that actually inspired his superhero alter ego – a bat. He was once scared of bats but turned his fear into a symbol of power and strength. Leeloominaï Lekatariba Lamina-Tchaï Ekbat De Sebat (A.K.A “Leeloo”) is a beautiful human-like alien, one of the Supreme Beings of the Universe in Luc Besson’s iconic “Fifth Element” who was sent to Earth to fight evil. 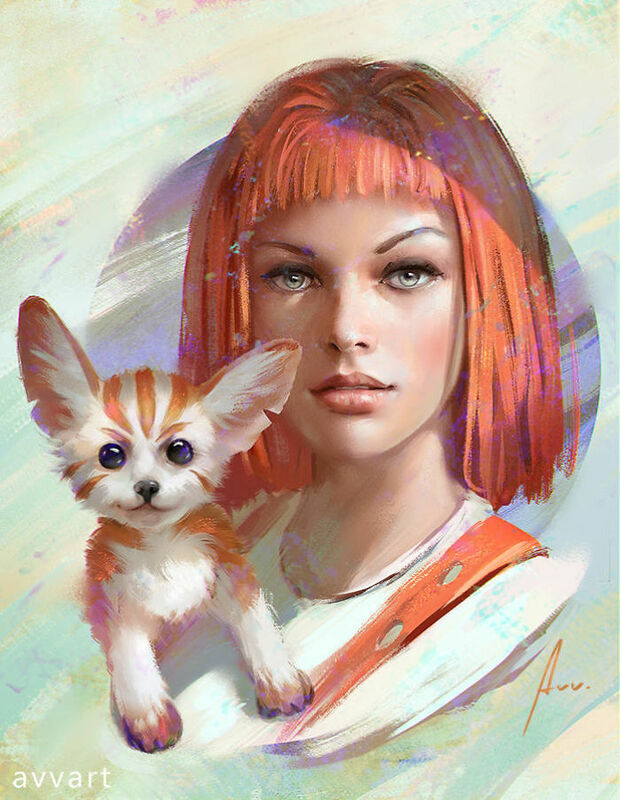 Genetically flawless and superior, Leeloo is the Fifth Element to complete a powerful weapon. The character, portrayed by Ukrainian-born actress Mila Jovovich has superhuman strength, enhanced learning, durability, agility, and incredible combat skills in addition to her most important ability to unite all elemental stones. Despite being the perfect warrior, she still has a childish charm, fragility, and sensitivity. Aleksei Vinogradov imagines a little puppy with glorious orange stripes as her four-legged friend. Elizabeth Swann, played by Keira Knightley in the “Pirates of the Caribbean” film series, is another famous character that inspired Aleksei. An exceptionally beautiful, spirited and intelligent woman who doesn’t conform to gender and social boundaries and was fascinated by piracy and living at sea from a young age. Elizabeth has strong will and an independent mind, which paired with her masterful use of sward and battle strategy skills made this young woman a brave pirate. Her kitty has a distinctive style that might have been influenced by one particularly eccentric pirate. Natalie Portman’s Mathilda is a 12-year-old girl who finds shelter in professional hitman Léon’s apartment after her family is murdered. Mathilda quickly becomes Léon’s protégée as she seeks revenge for her little brother’s execution. The two strike a deal – Mathilda’s agrees to help around the house and teach him how to read in exchange for hitman skills from the top hit man in New York. Innocent and childish but already carrying deep emotional scars, that make her mature beyond her years she transforms into a well-prepared assassin ready to avenge. 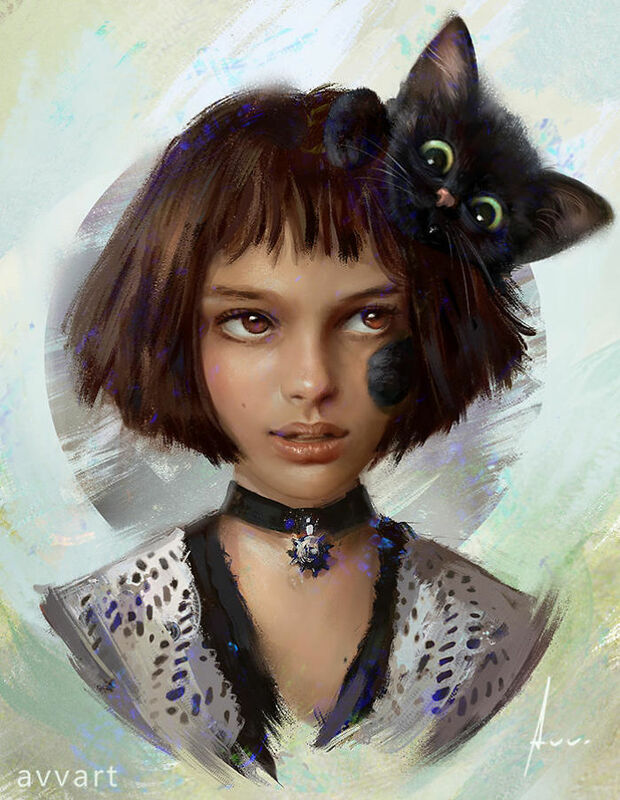 Mathilda was a complex character that attracted Aleksei’s attention. Her ‘spirit’ animal is a black cat: very affectionate but true to its wild instincts. It’s no surprise that a pet of Hellboy (or Anung Un Rama) would be a little devil, that’s still cute in nature. 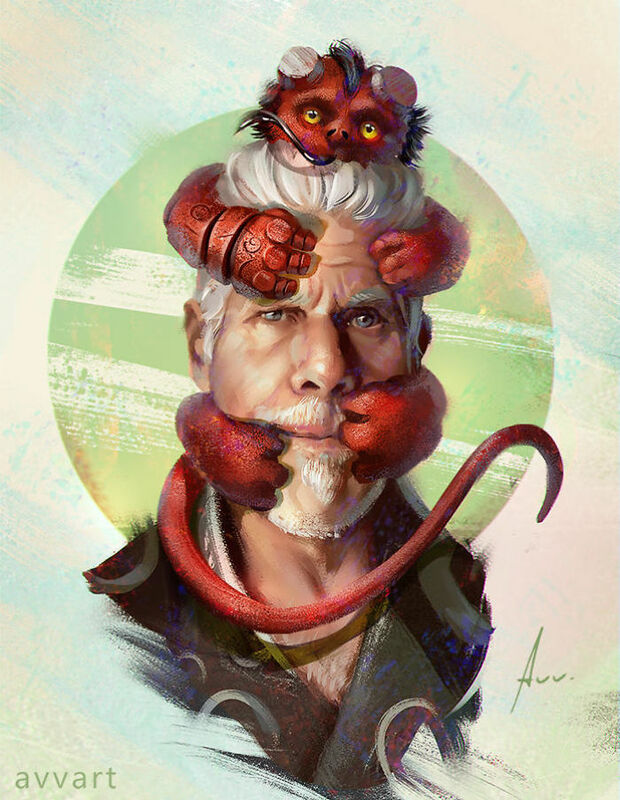 The well-meaning half-demon, portrayed by Ron Pearlman in two Guillermo del Toro screen adaptions of the famous comics, seems like the perfect owner to manage this kind of pet. In spite of his demonic and frightening appearance that would fit a true villain, Hellboy is actually a superhero fighting against the forces of darkness. He is a very likable and good-hearted character with a witty sense of humor, and his playful red friend seems to have the same traits. Malekith (portrayed by Christopher Eccleston in “Thor: The Dark World”) is the antagonist of Aleksei’s series. 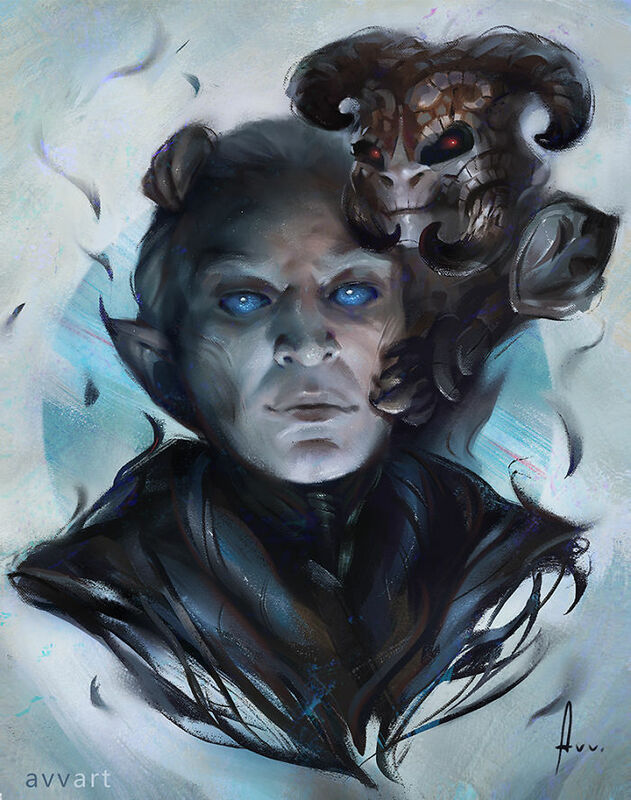 Malekith who aimed to transform the universe into eternal darkness was the utterly cruel, ruthless and malicious leader of the Dark Elves. No wonder that his pet is quite intimidating despite being small in size. It seems that the little fella would rule a fair share of the universe if his owner’s plan wasn’t ruined by Thor.